Shirtdresses are the best – no matter the time of year; no matter the occasion! 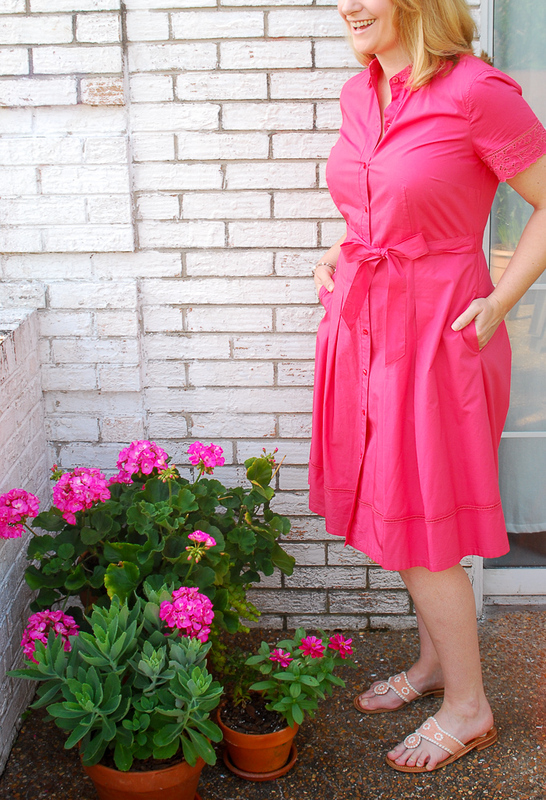 Every woman should own at least one shirtdress because they are timeless and always flattering! A preppy classic the shirtdress comes in such a variety of styles and fabrics these days that there is sure to be one to match your taste. 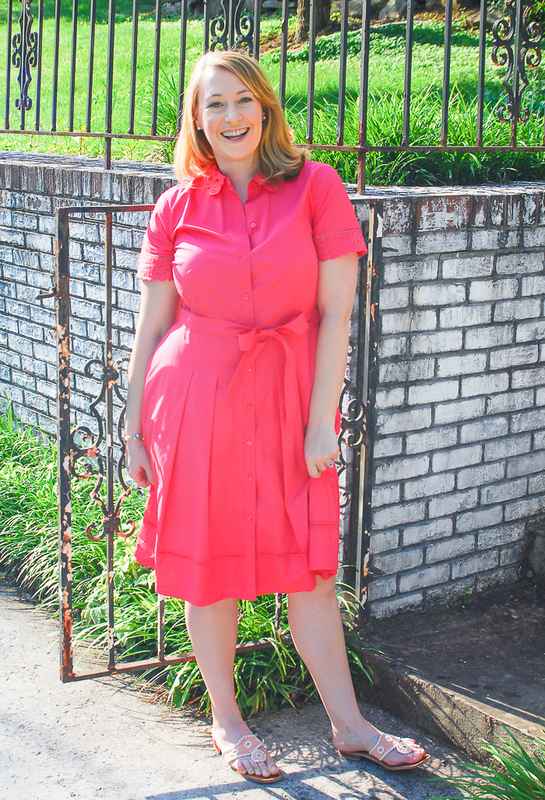 But no matter your style the structure of a shirtdress makes it a flattering, smart look for every woman. I prefer ones with a nipped in waist and a fit and flare cut. This style just works best with my hour-glass figure. 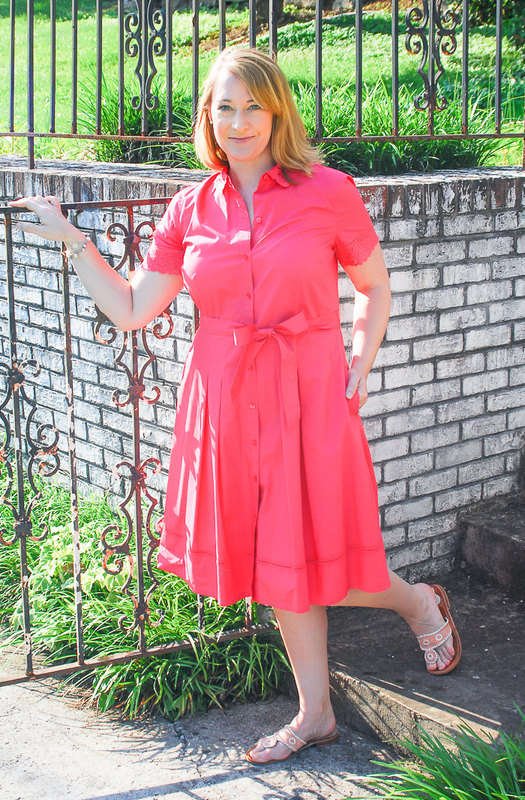 A more sophisticated approach to the sundress with the collar and button placard, shirtdresses can be worn just about anywhere from church to work and from brunch to a dinner date or even just watering the posies! 😉 Don’t you just love when a closet staple has that kind of versatility? 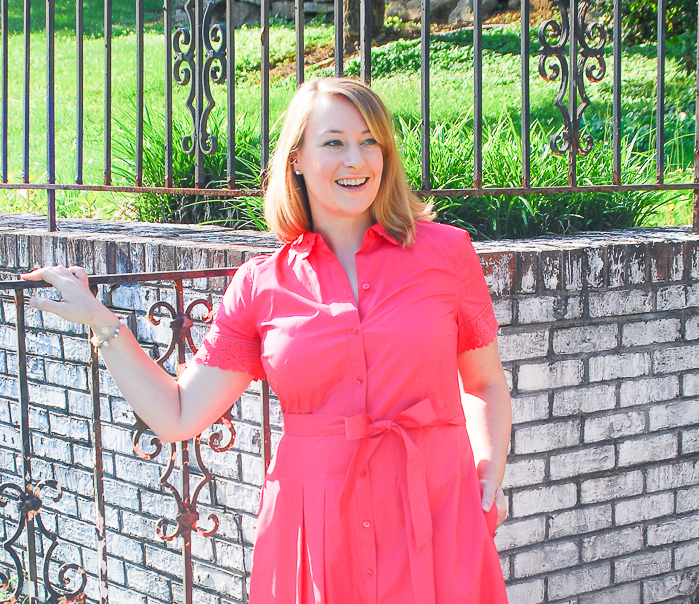 I love the coral color of this flattering shirtdress from Talbots, and the eyelet at the collar and sleeve add a lovely feminine touch. 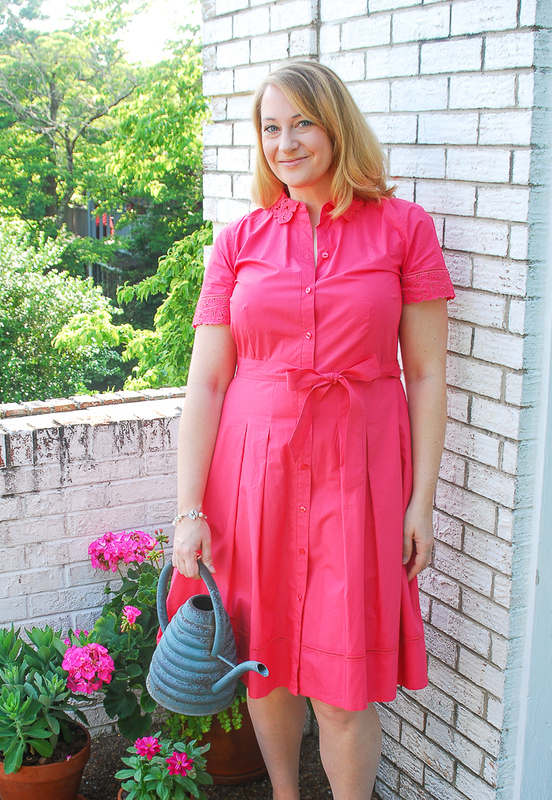 Plus this dress has pockets – major bonus points right there! The fact it matches my geraniums…well…that just speaks to my love affair with pink. 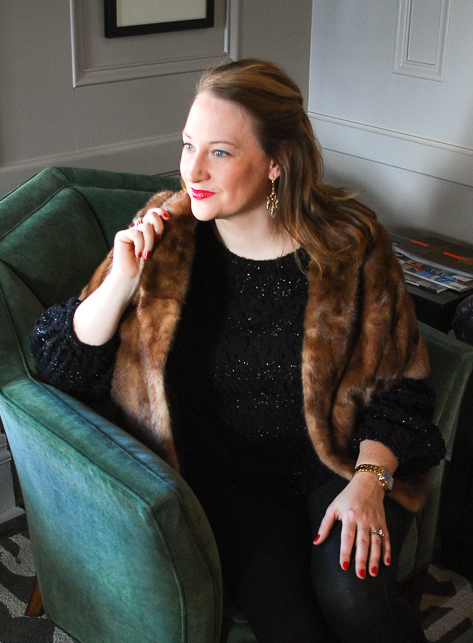 This little number is from last season, but I’ve rounded up some of my favorites from this season below! No. 1 A stiff or weighty fabric that will hold its shape and not wrinkle. No. 2 The right fit at the shoulders and bust, so that the shirtdress doesn’t gape in front or feel uncomfortable. No. 3 A timeless color and pattern. No. 4 The right length for your height. No. 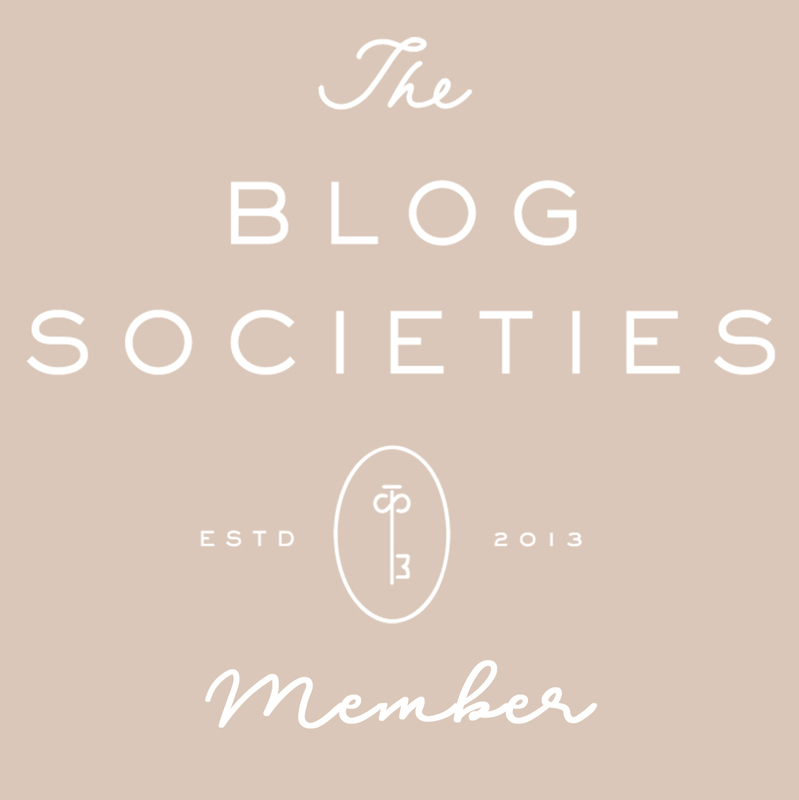 5 Princess seams starting at or below the bust to create a flattering fit. Thanks so much Maria! I think this color is just stunning too, and I love that you called it raspberry! You are so right: every woman really should own a shirt dress! I love the color and lace detail!